Custom mesh scrim banners are lightweight and durable, portable for less wind resistance and the normal fixing points and tie wraps included. 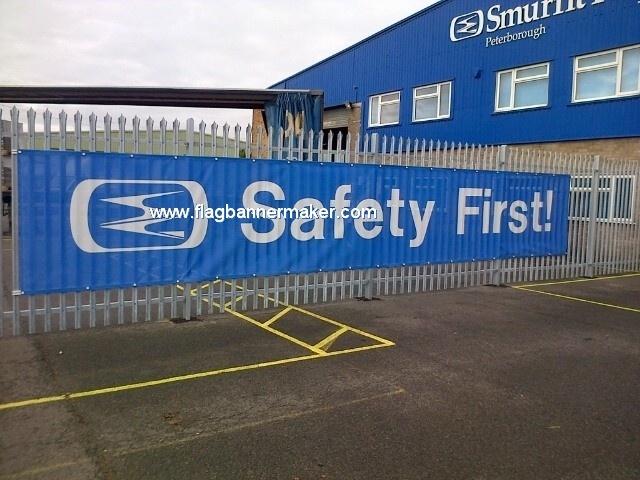 The image of the poly mesh banner sign on the metal fence illustrates the printing capabilities of temporary and hoarding, construction and building site style signage. Packing: folded packing in poly bag, and then packing in the export carton.